I am often amazed at some of the wonderful places I get to go and some of the wonderful things I get to experience. It’s not always the big events that amaze me, sometimes it’s the small things. Today I was surprised and filled with joy and laughter by a play. 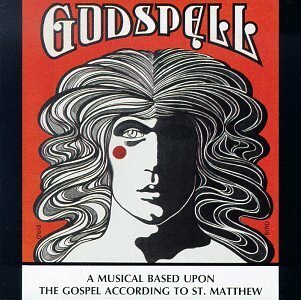 The inmates at Ashfield Prison in Pucklechurch were putting on a version of Godspell and Gail and I had been invited along with a few dozen members of our parish and some of the locals from Pucklechurch. I don’t really know what I was expecting, but I was amazed by what we experienced. The afternoon and the show was completely God filled from start to finish. The warmest welcome you could hope to receive, smiles and jokes, friendly faces. The show itself was fun, the actors and singers had so much enthusiasm you genuinely laughed at every bad joke. You clapped with every song. You grinned all the way through. I loved it and I want to thank everyone cast and crew, directors and supporters, guards and prisoners for everything they did. They made a windy and rainy afternoon very special. I have spent the rest of the day writing a homily for tomorrows Sunday Mass. The readings are all about hearing Gods voice and entering His kingdom. This afternoon sitting in the audience watching the show I could clearly hear His voice, I felt at home. I love my God, I love the vocation He’s called me to, and I love some of the wonderful experiences you get to share as part of the family of God.